Any gardener dreams of his favorite plant pleasing bright green leaves as it makes the ficus. A fairly undemanding plant that can make any home, however quite often after the ficus fetch them, he begins to fade in his eyes. 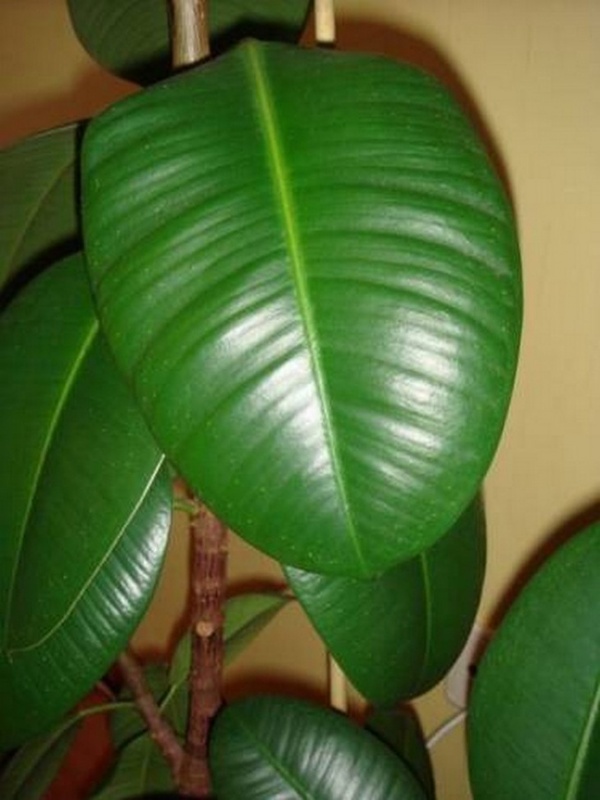 To save the ficus, you should know how to care for this plant. Flower likes moderate lighting and watering, afraid of drafts and does not tolerate dryness of the soil. So thinking about how to revive a ficus, primarily examine the conditions of his detention. May be able to help simply changing its location. If possible, place the ficus on the windowsill of a window facing South-East or South-West. In that case, when a ficus drops its leaves, but the trunk remains flexible and alive, it needs to be fixed. If there is rot, and on the top layer of the soil formed plaque, transplant the plant. Also indicate the necessity of transplanting sticking out of the pot roots. In this situation, the plant simply did not have enough nutrients because the roots have filled every available space. Take a pot, diameter superior to the one which is a plant, not more than a couple of inches. Pour on the bottom of the drainage, then add soil for ficus. The roots of the plants you need to carefully inspect. Dry roots and having traces of rot cut with scissors and finish with a powder of charcoal. After the plant is transplanted, water it regularly, avoiding drying of the soil, and spray the remaining leaves with water from a spray bottle to maintain indoor proper humidity. While the plant does not take root, it is not fed. If everything is normal, the feed the plant not earlier than in a month. Starting to fear for the health of the ficus, you should be aware that such varieties like ficus benjamina, and leaf drop in the fall is natural. The plant loses up to 20% of the total number of leaves and is not associated with the disease. Sometimes growers admit a common mistake: believing that all diseases of ficus are associated with malnutrition, begin intensively to feed him. For a plant that tries to survive, similar to the inflow of excessive nutrients and can cause the opposite reaction.